You’ve finished your book. You’ve read through it 12 times. It’s clean. It’s good to go. It’s Ready. You’d be surprised at how many authors I’ve seen make the mistake of having their book published without having it professional edited. And I mean a professional editor, not a friend or family member; someone who edits books for a living. --You always need an editor. Alwayys. * Developmental editing: This is the first book editing stage in which a developmental editor looks at your book holistically. A manuscript is dissected, and the editor makes recommendations on concept, presentation, content and organization. *Copy or Line Editing: A copy editor goes through a book line by line, looking for spelling mistakes capitalization errors, spelling glitches, grammatical issues and word usage problems. 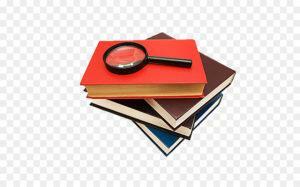 * Proofreading: A proofreader essentially does a last-look at the book, making sure the final product is good to go. --Price ranges vary with editors; some charging by the word, pages or flat fee. Regardless, money spent on a good editor is an absolute great investment. --Errors in a book can kill your author marketing efforts.. A book riddled with errors will amost certainly get brutalized by reviewers. We have even see typos in titles of books! --Even books by major publishers sometimes have errors, although this is remarkable because it doesn’t happen often. Click here for some amazing examples. --Leave your ego at the door. There’s a reason all household authors have their books edited – everyone makes mistakes, and every manuscript can be improved in some way. Don't take corrections and suggestions personally, welcome them! So, do your homework, research good editors, and then … hire one! Don’t ruin your author promotion endeavors! ― S. Kelley Harrell, M. Div.